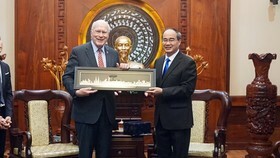 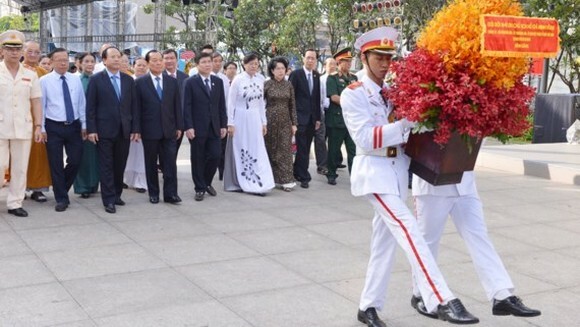 A delegation of Ho Chi Minh City’s leaders on September 1 offered incense and flowers to pay tribute late Presidents Ho Chi Minh and Ton Duc Thang. 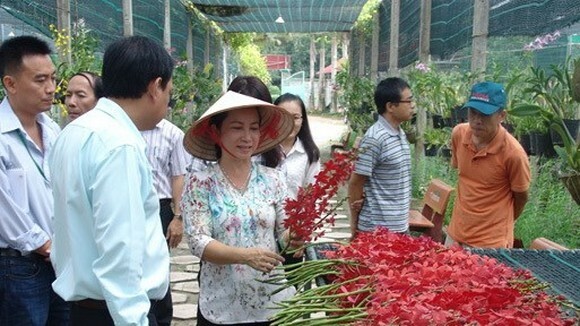 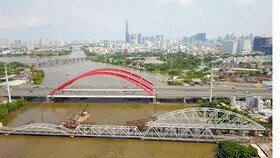 The ceremonies were held at the Ho Chi Minh Museum-HCM City branch and Ton Duc Thang Museum, celebrating the 72nd anniversary of the August Revolution and National Day (September 2). 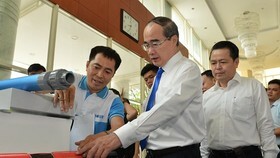 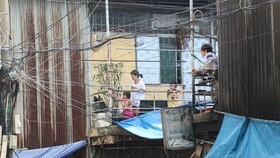 Attending the events were former Secretary of HCMC Party Committee Le Thanh Hai; Standing Deputy Secretary of Party Committee of Ho Chi Minh City, Tat Thanh Cang; HCMC People’s Committee Chairman Nguyen Thanh Phong, chairwoman of the HCMC People's Council Nguyen Thi Quyet Tam and chairwoman of Vietnam Fatherland Front Committee in Ho Chi Minh City To Thi Bich Chau. 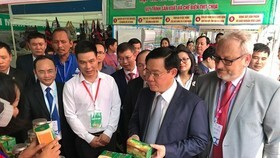 The delegates remembered the revolutionary life and the great contributions made by late Presidents Ho Chi Minh and Ton Duc Thang to the struggle for national liberation and independence. 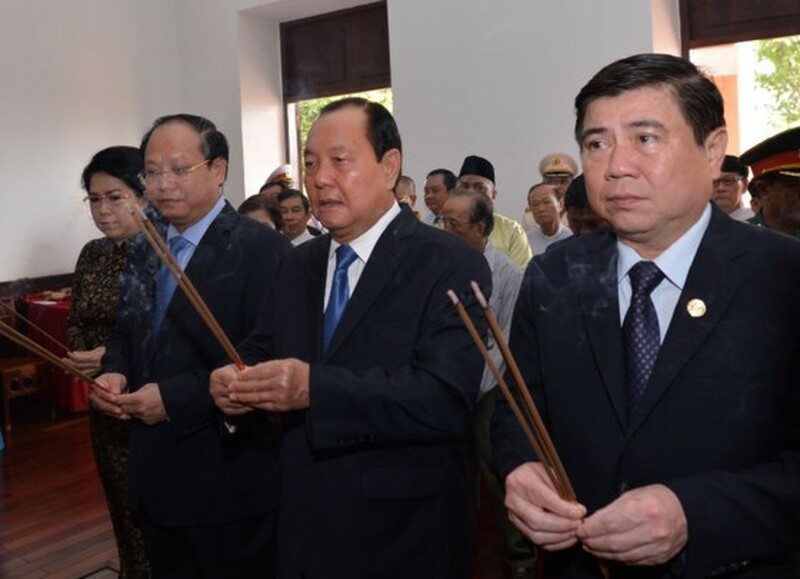 Former Secretary of HCMC Party Committee Le Thanh Hai ( middle) and other leaders offered incense at the Ho Chi Minh Museum-HCM City branch.